This is the cracker machine. Bought a packet with over 20 pieces of this love cracker at only 1,000 won (RM3.00). 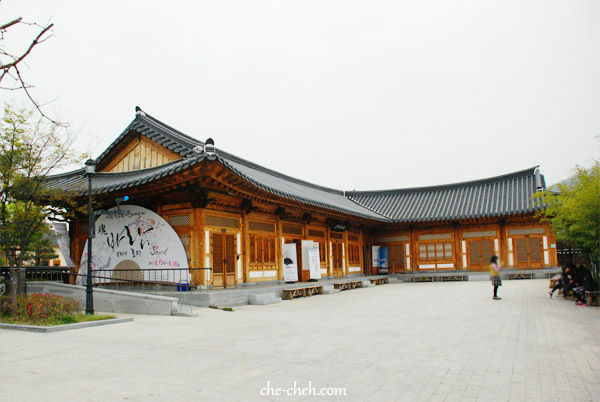 Next, we visited this Fan Culture Center in the Hanok Village. 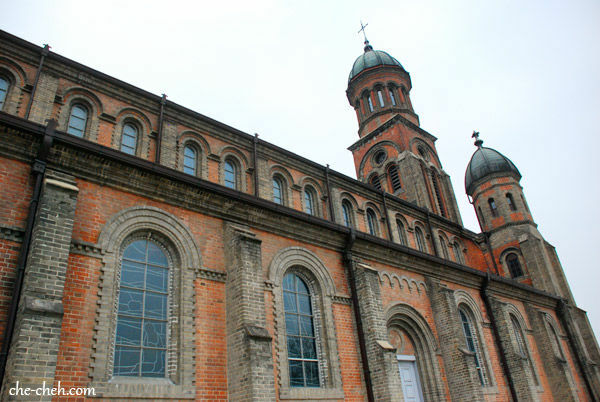 Love the architecture. So beautiful. 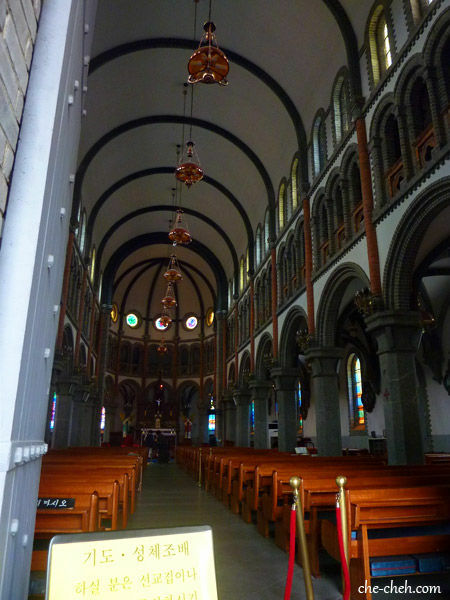 On our way to Jeondong Catholic Cathedral, we passed by this beautiful place. 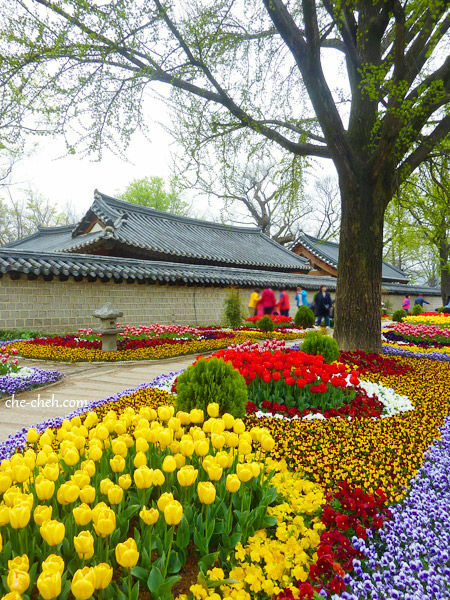 Varieties of flowers including tulips in this man-made garden. 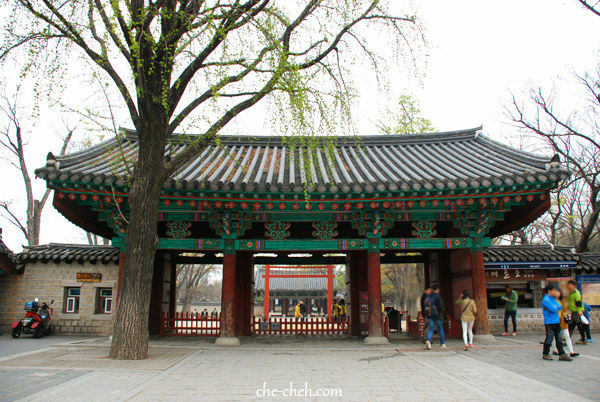 Entrance to Gyeonggijeon Shrine where it holds the portrait of King Taejo (founder of Joseon Dynasty). We did not enter. 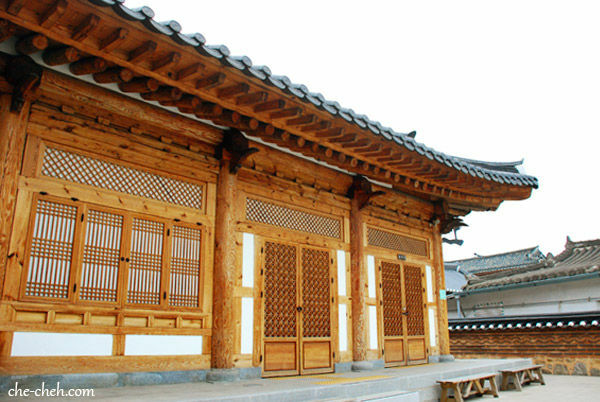 Update: This is the filming site for Moonlight Drawn By Clouds [several scenes at bamboo forest and the building called 전주사고(全州史庫) Jeonju Sago (Jeonju Historical Archives) where Yeong punishes Ra On with a kiss after she hurts her leg – ep 10]. Yes, now I truly regretted. 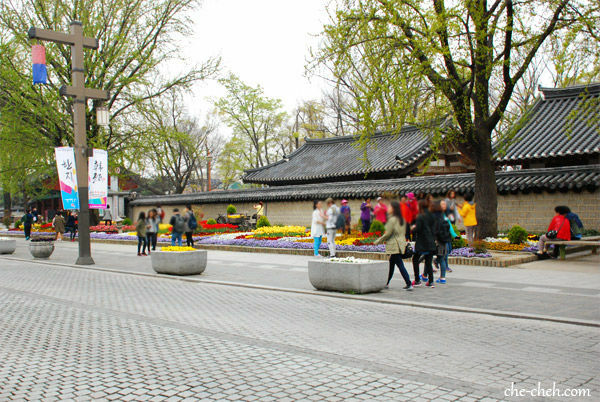 Haha If you’re a fan of this Korean drama, make sure you visit Gyeonggijeon Shrine 경기전. 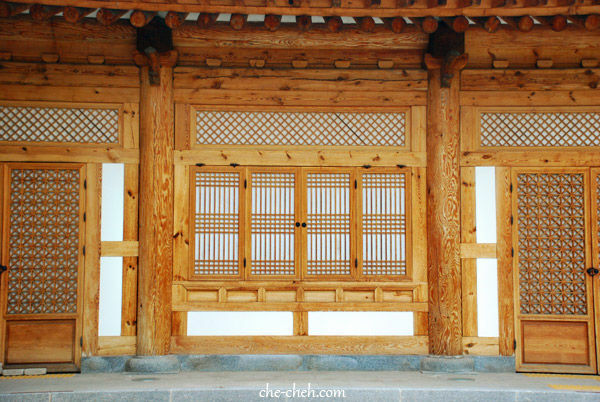 This is a Hamabi (outside of Gyeonggijeon Shrine). Hamabi is a post for dismounting from the horse. Nice? I love this photo. Taken at the cathedral. This is Pungnamun. One of the old gates of the city. We had our lunch 2 hours later after breakfast at Gajok Hoegwan. LOL Jeonju is famous for bibimbap and that’s what we had. Read my review here. 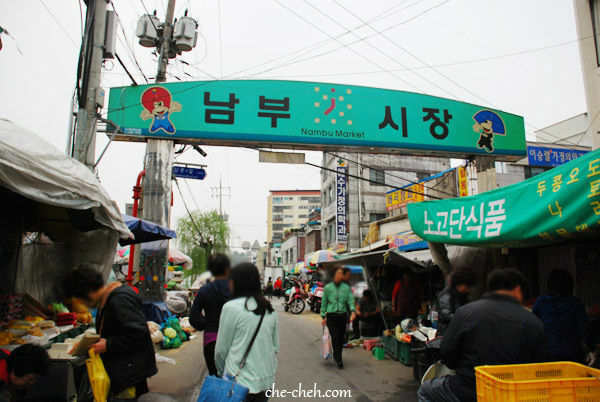 After lunch, we proceed to Nambu Market. 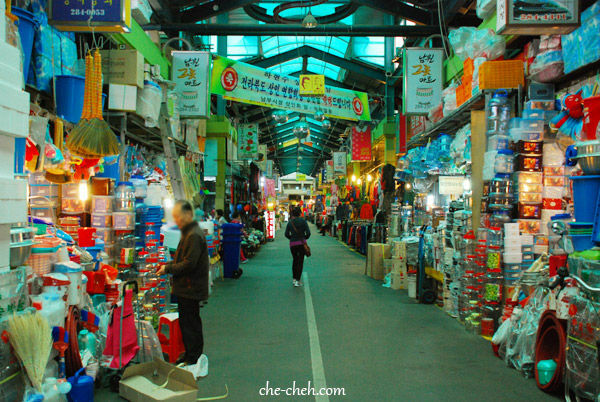 This is the indoor section of Nambu Market selling household items. Nambu Market. We were at the market at around 2.30pm. Not many people there but most stalls are still open. 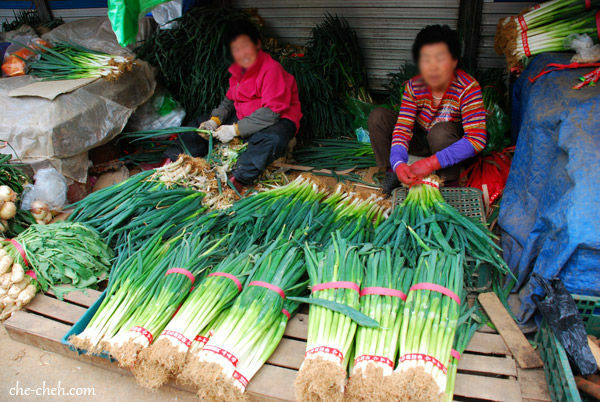 Yummy and juicy spring onions. 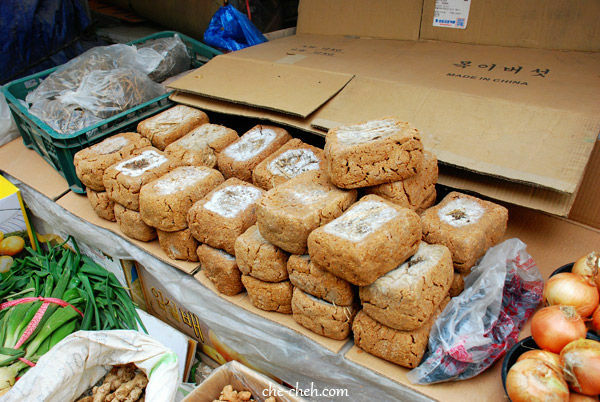 Doenjang blocks. Doenjang is fermented soybean paste. 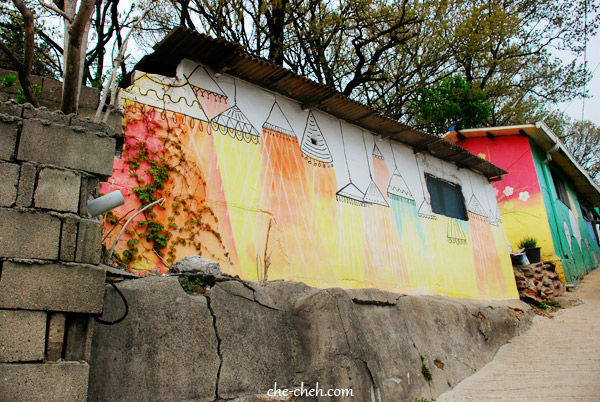 On our way to Imokdae, we got lost and stumbled upon these painted houses. 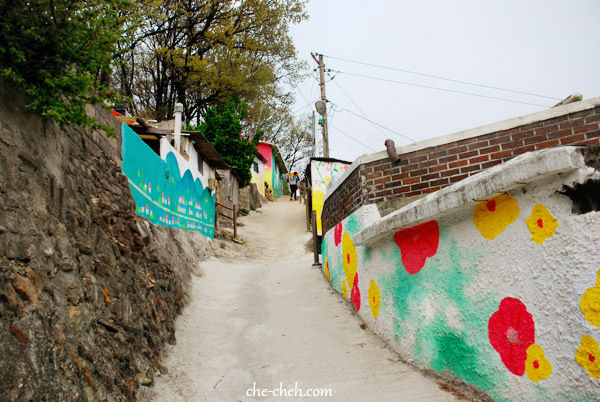 These houses are situated at an incline… so climbing up is tough job. This is Imokdae. There’s nothing much to see. 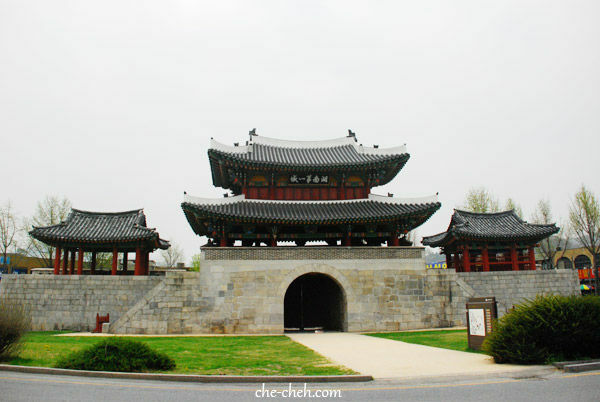 Our next destination is the Jeonju Traditional Wine Museum. 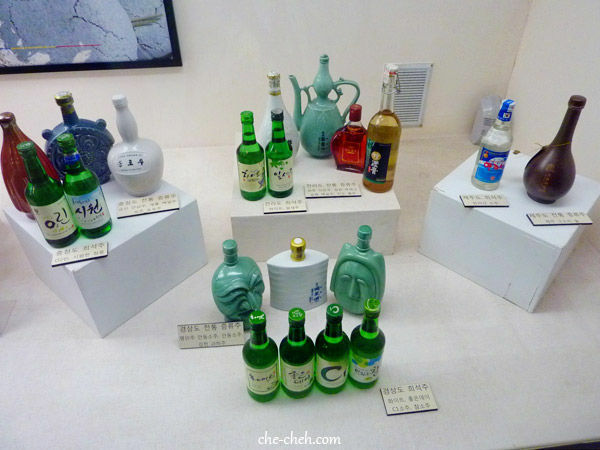 The many types of soju in the museum. After that we head to Grandma’s Best for a bowl of patbingsu. Seriously it’s the best I’ve eaten. It’s actually my first ever patbingsu. LOL. Next we visited Jeonju’s famous bakery called PNB. 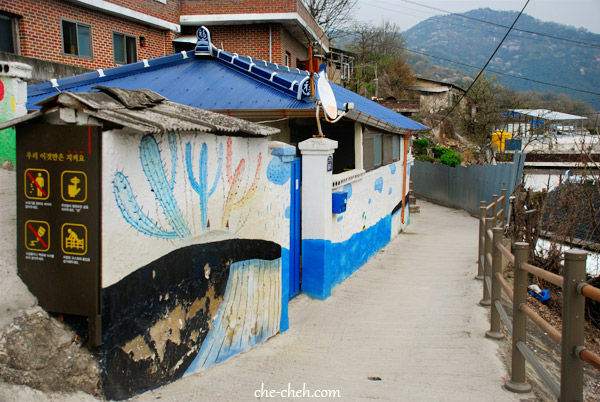 They’re famous for choco pies and are located inside Jeonju Hanok Village. We bought some to take back as souvenir. Lastly for our dinner some 2 hours later after our patbingsu bing, we visited Veteran again for their kalguksu. That’s it for day 7 which is full of walking, eating, souvenir shopping and eating again. 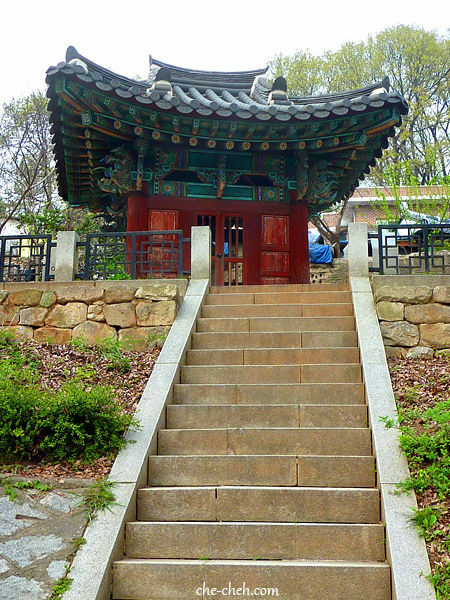 Next, on day 8 we’re heading to a new place and that is our final destination, Seoul. Stay tuned! 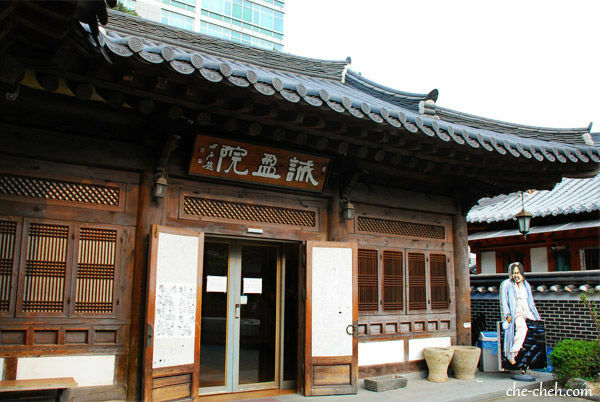 p/s: Do buy moju (a type of makgeolli) which is only available in Jeonju as souvenir. Hi Keeyit, oh yeah… Love ma. Hi Dawn, you can get so much from markets. 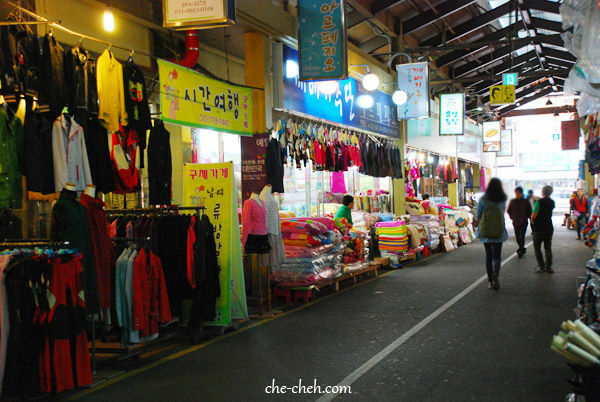 Not only for buying stuff but to experience the culture there as well. Rice and sweet potato cracker in the shape of love? 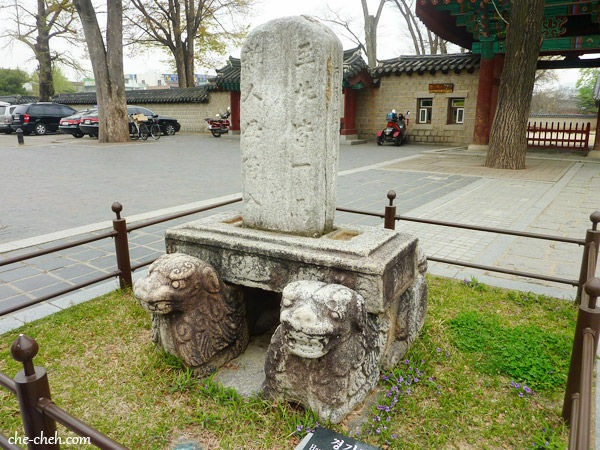 How did you get to Jeonju ? 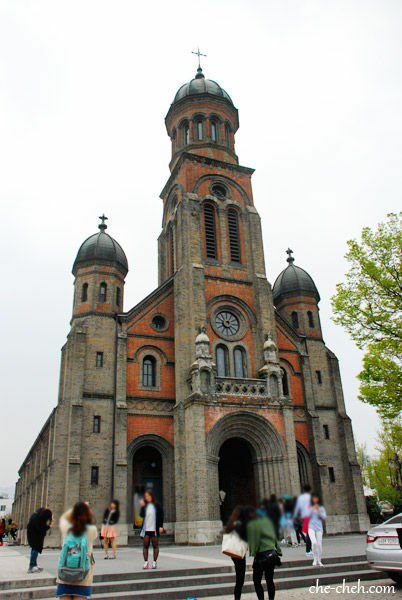 Hi Sarah, I traveled from Busan to Jeonju by bus. 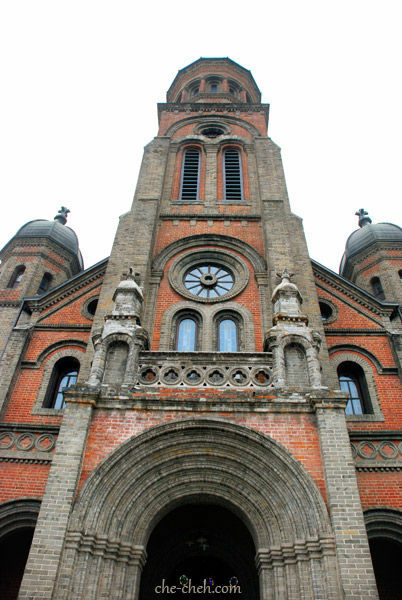 Hi Amy, in short, you traveled to and fro Busan- Jeonju by bus? The return fare is KRW34,000, correct? 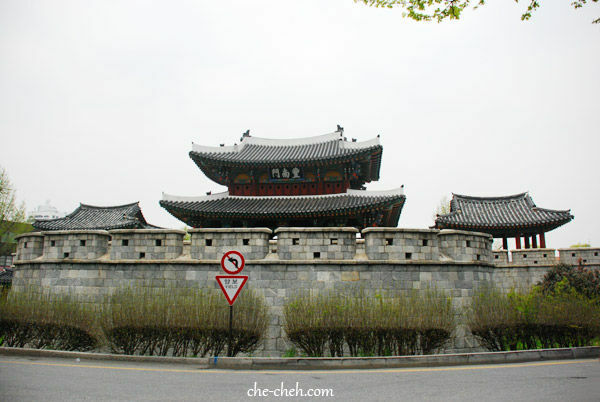 I’m thinking of going to Jeonju also this coming October. 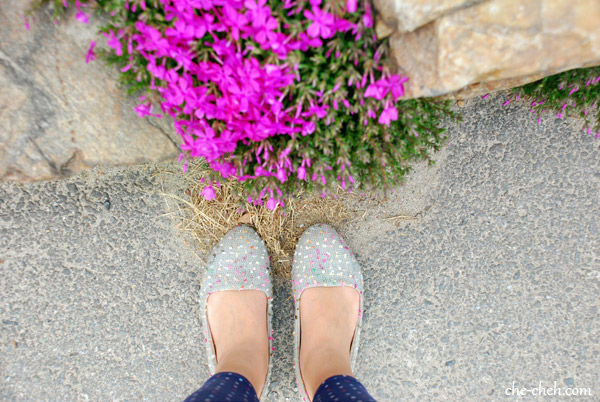 been torn between Busan – Jeju or Busan – Damyang or Busan- Jeonju. Your blog really helped me a lot on my planning.